Accompanying the creation of the single Family Court and the single County Court, the Government moved swiftly to introduce new court fees, adopting – for the most part – the principles it set out in its consultation document published in late 2013 (see blog March 2014). The Government has acted to introduce new fees which, broadly, increase as a case proceeds – with court hearings incurring rather higher fees than hitherto. Those interested in the details can see the new fees set out in https://www.gov.uk/government/consultations/court-fees-proposals-for-reform. Interestingly, the announcement of these increases was made on the same day that a research report was published which suggested that on the whole litigants thought the fee levels were reasonable and would not have been deterred from bringing a case simply because of the fees charged. 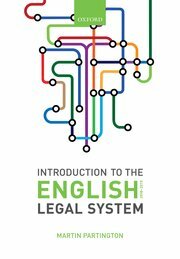 See https://www.gov.uk/government/publications/the-role-of-court-fees-in-affecting-users-decisions-to-bring-cases-to-the-civil-and-family-courts. Time will tell whether the new fees act as a deterrent to access to justice; intuitively it could be anticipated that there would be some effect.